With the overall size of the UK general insurance market remaining relatively flat over the past few years, insurers recognise that growth for individual brands must primarily come from taking market share from other brands whilst maximising the insurance retention of their existing customer base. 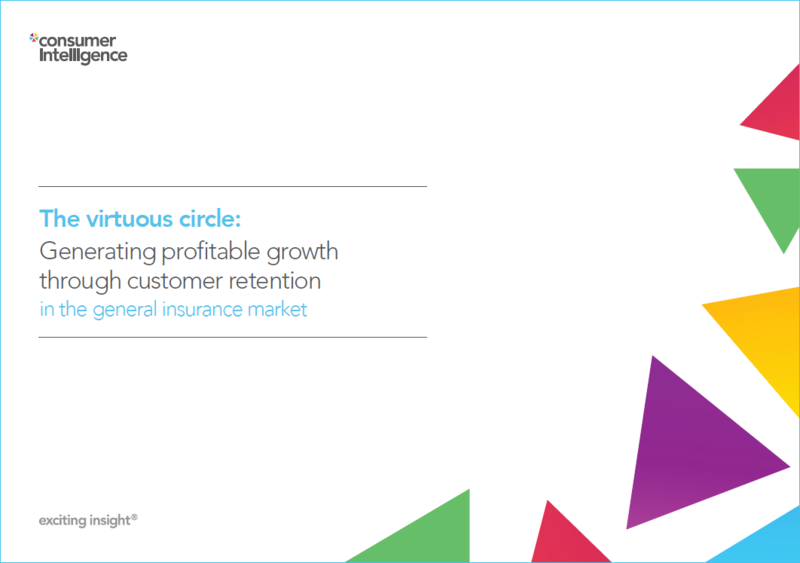 Using unique insights from our Insurance Behaviour Tracker (IBT), Consumer Intelligence has been able to determine that profitable growth is driven by a focus on renewals and that there is a proven link between brands with strong retention rates and high levels of customer engagement. IBT is a comprehensive survey which monitors the insurance buying journey of over 40,000 home and motor customers each year, giving insurance brands an unprecedented depth of understanding into consumer attitudes and behaviour throughout the renewal process. Consumer Intelligence’s own data for motor insurance in 2017 found that around 84% of consumers shopped around for their insurance at renewal. Of these 84% who shopped, 53% ended up staying with their existing brand. However, the length of customer tenure and renewal rates vary significantly across the industry and by segment and whilst price is a significant factor in the retention of customers, CI’s data highlights that other factors are also influential in generating strong levels of customer retention. Although it seems counter-intuitive, we found, for instance, that in many cases, brands that put through a higher than average price rise at renewal still had a significantly higher level of retention than those brands that put prices up by less. Rajeev Aggarwal, Managing Director of Consumer Intelligence’s Advisory service commented . . . Customer engagement measures include, among others, expectation of good service and belief in a philosophy of customer care. CI has evidence that brands that are better at retention also have more engaged insurance customers, and that this translates into measurable retention benefits. Aggarwal sums up the research findings . . . The size of the UK general insurance market has remained largely flat over the past few years and in a relatively static market, it is clear that policy growth for individual brands must primarily come from taking market share from other brands whilst maximising the retention of existing customers. Brands have several opportunities to maximise customer retention starting from the moment of initial acquisition and continuing through every customer interaction and communication (including mid-term adjustment, up- or cross-sell activity or claims) and culminating in the renewal activity itself. Consumer Intelligence tracks consumers’ renewal intentions and thus has unique insight into the performance of most of the brands across the general insurance market. Those brands that have a high level of tenure across their customer base will be incurring significantly less churn and cost than those with low customer tenure. Of the motor brands tracked by Consumer Intelligence, 85% of customers were more likely to see an increase in premium than the previous year at renewal. If shopping around rates didn’t increase significantly when prices were rising and given we are now in a period of premium deflation a key question is, is it just about price? To help answer this, let’s look at renewal rates and changes in renewal premiums by brand as it should be expected that those brands that put through the highest price rises at renewal would also be the brands that stimulated the most shopping around and ultimately the highest levels of switching. What Makes Up Insurance Customer Engagement? Consumer Intelligence tracks several measures concerning the attitudes of consumers towards their insurance providers. It’s clear that brands that have engaged customers focus on factors other than price, and that having engaged insurance customers is translating into measurable retention benefits. General insurance companies find it difficult to know whether a policy holder that renews has had to be reacquired and paid for again, or whether they simply and cheaply renewed, with little or no cost. So, they look at anyone that was a customer last year and say they were a renewal, but if a customer has gone and shopped and then switched back to the insurer via a new business route, the insurer will mis-attribute the customer as a renewal. Insurers can also decide to price on a short term basis to hit immediate targets rather than taking a longer view led by expected customer life time value. Without comparison to the market, it is almost impossible for them to realise that to grow from 1,000 polices to 1,010 they have had to spend significantly more than a company with a good renewal base. In an environment where margins are under renewed pressure, and the competitive landscape increasingly crowded as a result of emerging players, both large and small. come from taking market share from other brands whilst maximising the retention of their existing customer base. Using unique insights from our Insurance Behaviour Tracker (IBT), Consumer Intelligence has been able to determine that profitable growth is driven by a focus on renewals and that there is a proven link between brands with strong retention rates and high levels of customer engagement. 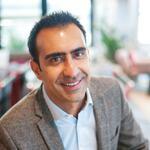 IS THERE COMMERCIAL VALUE IN GOOD CUSTOMER RETENTION? WHAT DIFFERENTIATES THE BRANDS THAT WIN AT RETENTION? Consumer Intelligence has unique consumer renewal behaviour data for brands across the general insurance sector including customer engagement metrics and works with most of the leading insurance brands in the UK. It also has an Advisory capability to help insurance brands use these insights to develop winning customer-led strategies. To understand how your brand and customers perform in relation to your peers, contact Consumer Intelligence for a confidential discussion.